Titled To Be… and… Not to Be, the event will include a performance by Whitworth of Samuel Beckett’s short play Krapp’s Last Tape, followed by a lecture plus Q & A. The annual Faculty Research Lecture is the foremost academic research honor bestowed by the UCSC Academic Senate. Whitworth was selected by faculty members in recognition of his extraordinary artistic and scholarly accomplishments. 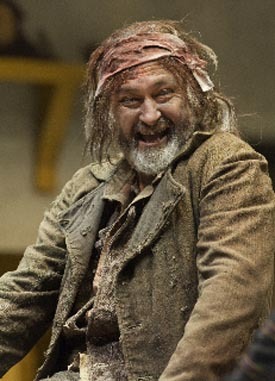 Whitworth began his career at the Royal Shakespeare Company in Stratford-upon-Avon—one of the most celebrated theater ensembles in the world. As longtime Artistic Director of Shakespeare Santa Cruz from 1995-2007, he helped to build SSC’s reputation as one of the most influential Shakespeare Festivals in the country, cultivating a strong relationship between campus arts and the Bay Area community. An award-winning actor--performing at such venues as American Conservatory Theater, Seattle Repertory Theater, the Magic Theater, Syracuse Stage, and Asolo Repertory Theater--Whitworth’s work has garnered national acclaim. In a recap of the best theater of 2008, San Francisco Chronicle critic Robert Hurwitt named Whitworth "MVP" of the year--noting that the former artistic director of Shakespeare Santa Cruz “gave one of the performances of a lifetime" in Conor McPherson's Shining City at SF Playhouse in October, adding that "in a year festooned with outstanding performances, Whitworth raised the bar." Whitworth has played some of the great roles in Western theater, including Shakespeare's Hamlet, Iago, Richard III, Prince Hal, and Macbeth; Molière's Tartuffe; and modern classics such as Galileo in Brecht's Galileo, Professor Henry Higgins in Shaw's Pygmalion, George in Who’s Afraid of Virginia Woolf?, and Vladimir in Waiting for Godot. With his deft eye for new work and experimental plays, he has also directed two works by Edna O'Brien at San Francisco's cutting-edge Magic Theater: Family Butchers, a U.S. premiere; and Triptych, a world premiere. 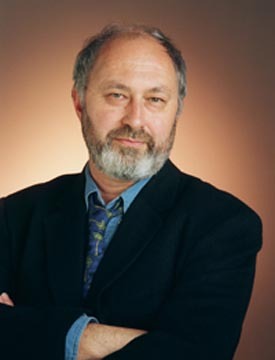 Honors awarded to Whitworth for artistic direction and production include the 1997 Santa Cruz County “Artist of the Year” Award, with Congressional recognition from Sam Farr; and Drama-Logue Awards for Outstanding Achievement in Theatre for several of his Shakespeare Santa Cruz seasons. And in December, the Wall Street Journal included the Asolo Theater’s The Life of Galileo--with Whitworth starring in the title role--as one of the country’s Top 10 Theater Productions of 2010. Whitworth graduated with an M.A. in Hispanic Studies from the University of St. Andrews in 1973, with First Class Honors in Spanish, also studying Portuguese language and literature and the Amerindian languages Quechua and Guarini. He went on to study 17th-century Spanish Drama as a Carnegie Scholar at Oxford University, with an emphasis on the playwright Tirso de Molina. 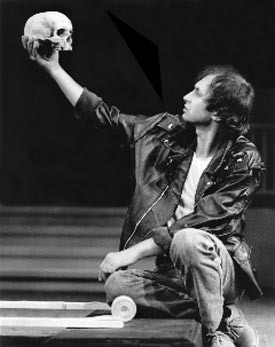 Whitworth performed with the Royal Shakespeare Company from 1976-82, and joined the UCSC faculty in 1990. The 45th annual UCSC Faculty Research Lecture is presented by the UCSC Academic Senate and Office of the Chancellor. The event is free and open to the public. Seating is available on a first-come, first-served basis. There is no standing room.Doors open at 5:30 pm. For more information, call (831) 459-2787 or artsevents@ucsc.edu.